This versatile sauce can use up a host of ingredients and can be paired with pasta or egg- two meals in one! 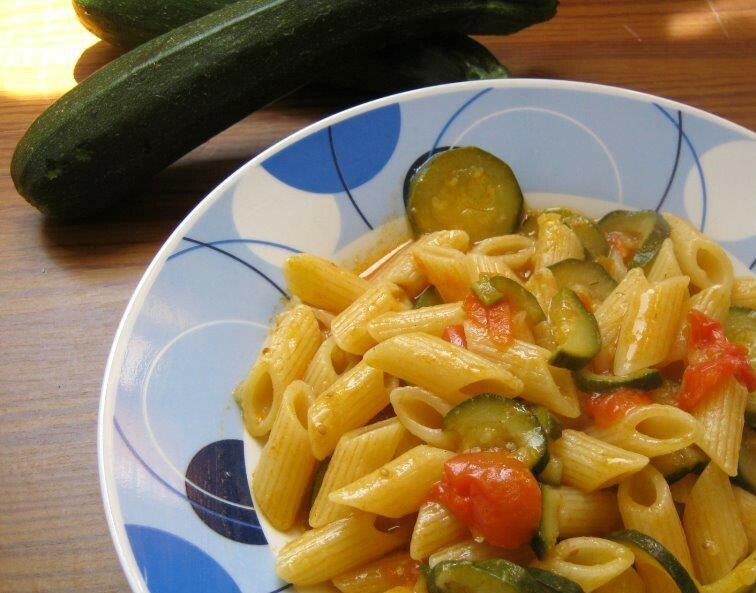 Cut the cherry tomatoes in half and slice your courgette. Chop any other vegetables you wish to add. Fry the vegetables in a pan with the olive oil for a couple of minutes. Add turmeric and salt and pepper to taste. Add a little water to stop the vegetables sticking until everything is cooked (20 minutes). Meanwhile, if you want to add pasta you should cook this now and mix it well with the cooked vegetables. Alternatively you could add two eggs, a pinch of chilli and cook together for 3-4 minutes.